People are going to love to learn how to make the coolest food on Instagram! 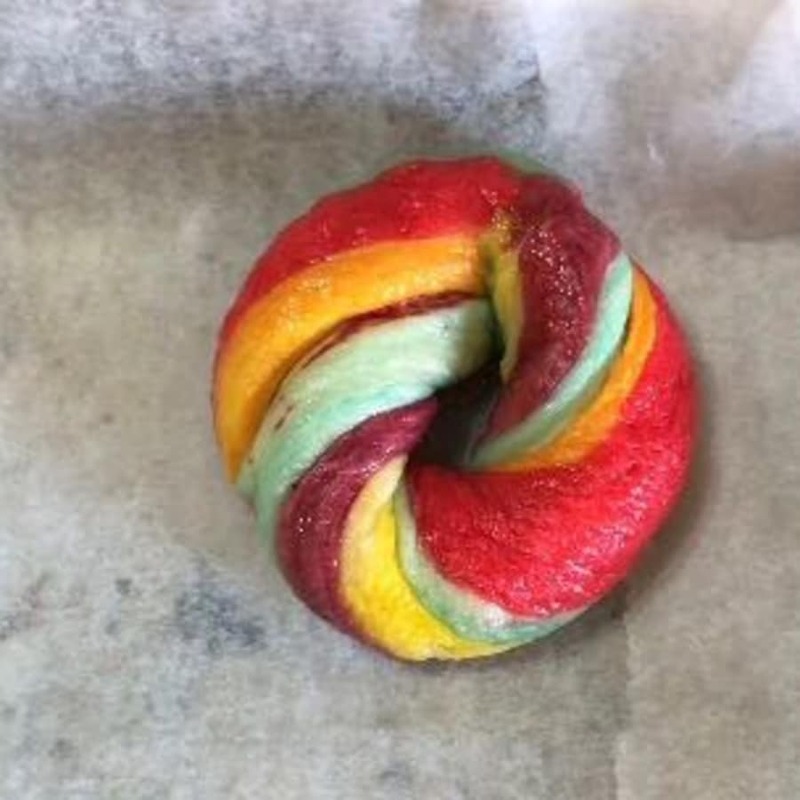 This is a unique experience to learn how to make rainbow bagels from scratch. 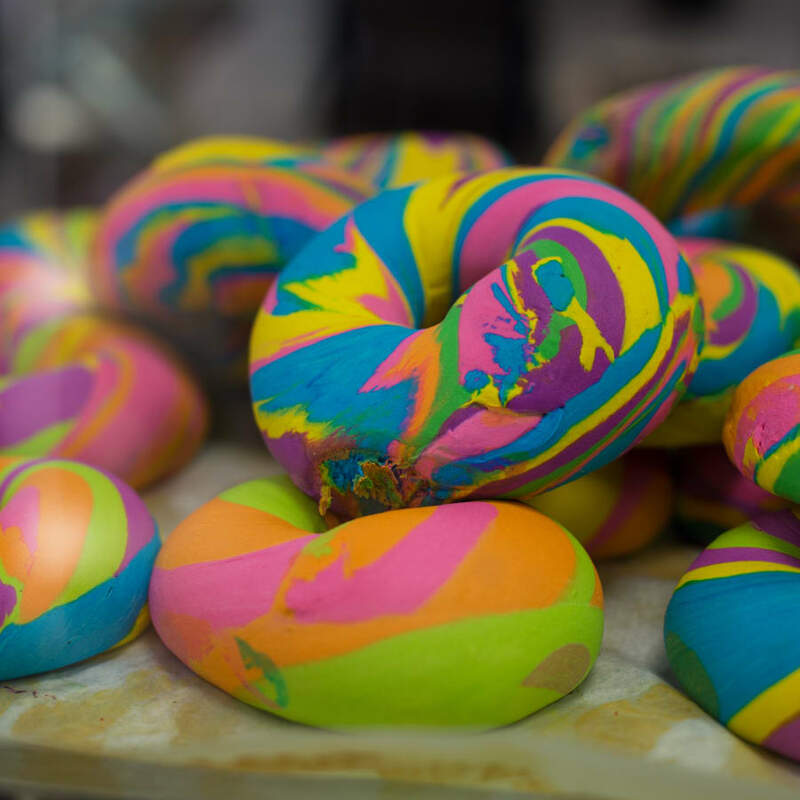 These beautiful rainbow bagels are bagels made with flour, water, yeast and malt extract. 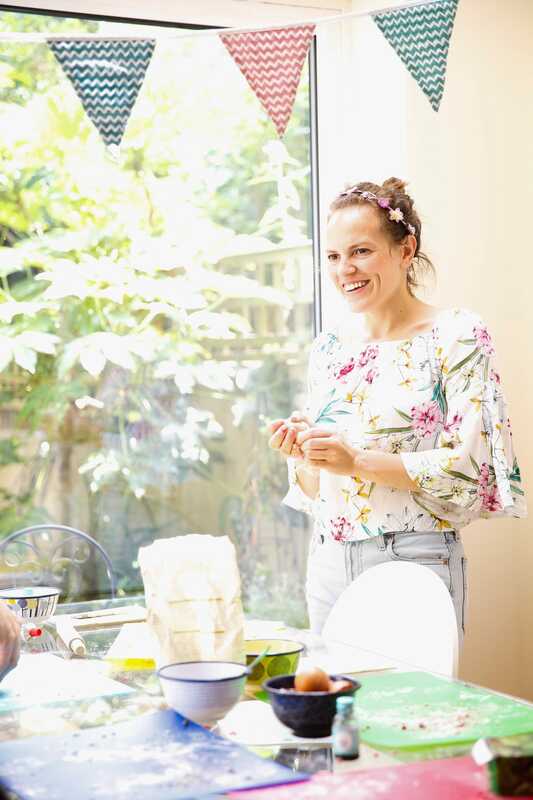 This is then coloured with healthy natural ingredients, like beetroot and spirulina. When ready, they are boiled and baked ready eat it together or take home! People can make about 5 bagels per head and either eat it or take it home. On arrival, you will find the ingredients laid out and ready to be used. 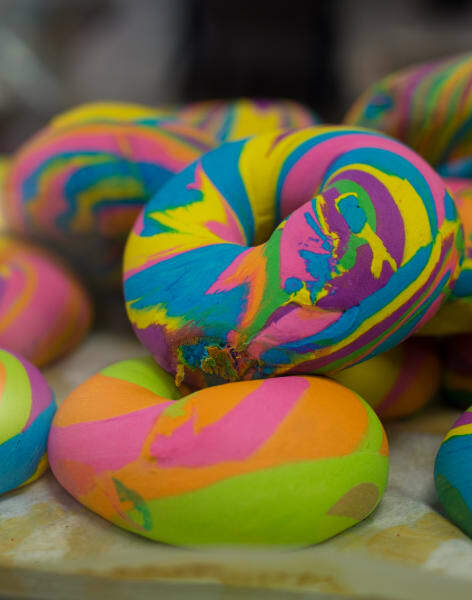 The class will kick off with some fun fact about bagels. The workshop is entirely hands-on. After a demonstration of how to make the dough, everyone will make his/her own piece of coloured dough. Then we will assemble all the colours together and make the shape. Bagel making is fun and healthy, made with high quality products and the best seasonal produce from farmers in England. You will make around 5 bagels and after all the hard work, everyone gets to eat some or take the bagels home.